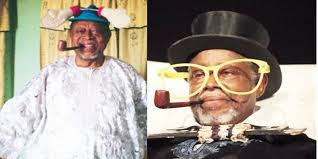 The lengendary Nigerian comedian, Moses Olaiya, popularly known as Baba Sala, is dead in his 80s. Emmanuel Adejumo, aka Boisala one of Baba Sala sons,,announced his father demise in the early hours of Monday on his social media. He tutored and guided the Juju maestro, King Sunny Ade, who was his lead guitarist at the time.